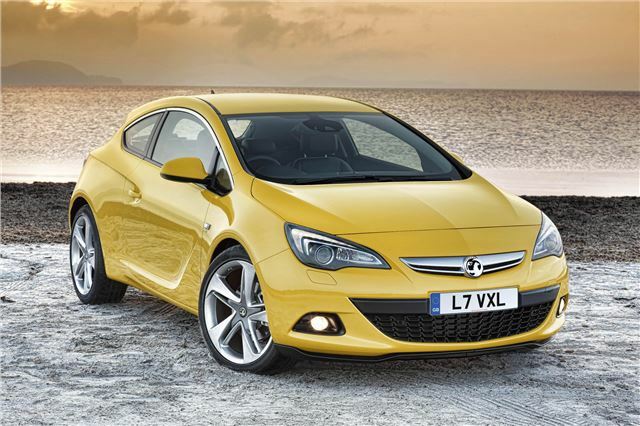 The Vauxhall Astra GTC Coupe is on sale from today, priced from £18,495 with deliveries starting in November. There are two 1.4-litre petrol engines, one producing 120PS, the other 140PS, as well as a 1.6-litre 180PS petrol and a 165PS 2.0 CDTi diesel. The sporty Astra will come in two trim levels - Sport and SRI and a top of the range VXR model is due in 2012. It is based on the same platform as the Astra hatchback, but with modifications to suspension to sharpen the handling. The GTC also features an adapted version of the front suspension fitted to the 325PS Insignia VXR. Rear suspension is the same as the hatch. FlexRide adaptive damping is fitted, with three settings – standard, tour or sport. Most of the chassis development and fine-tuning was carried out in the UK, which makes sense as Vauxhall expects the UK to be the biggest European market for the GTC. The bodywork is unique to the GTC, with no panels shared between it and the hatch. It stays true to the original concept shown at the 2010 Paris motor show. It's certainly attractive, but it needs to be with competition like the Volkswagen Scirocco and Renault Megane Coupe while the interior has space for four adults, with bootspace of 370 litres. All engines are fitted with a six-speed manual gearbox and start/stop system as standard. The most economical engine is the 2.0CDTi, which has combined cycle economy of 57.6mpg and CO2 emissions of 129g/km. The two 1.4-litre turbocharged engines manage a claimed 47.9mpg and 139g/km, while the most powerful 1.6-litre engine is less ‘eco', with emissions of 164g/km. Standard equipment on the entry level Sport model includes 18-inch alloy wheels, electronic parking brake and DAB radio with USB-in, and the top spec SRI models get tinted glass, onboard computer, leather trimmed steering wheel and fog lights. Morello Red leather interior trim, amongst other things, including Bi-Xenon headlights, is available as an option. The Astra GTC 1.4 120PS in Sport trim is priced from £18,495, raising to £22,430 for the 165PS 2.0 CDTi in SRi trim. As with the rest of the Vauxhall range, it comes with a 100,000 mile ‘lifetime’ warranty.